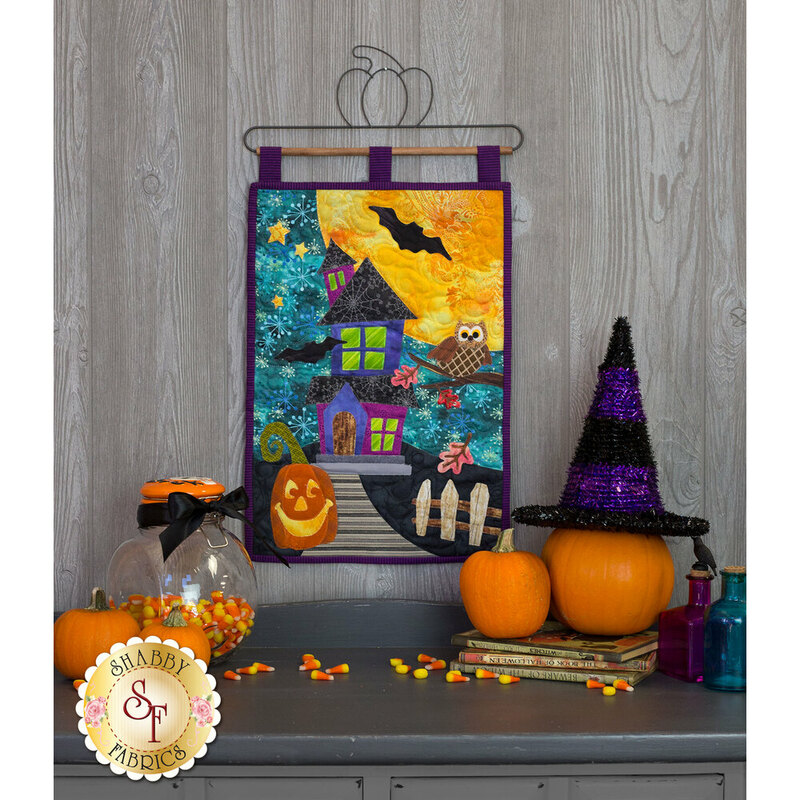 Give your home a spooktacular touch this Halloween season with the Halloween Patch Wall Hanging. 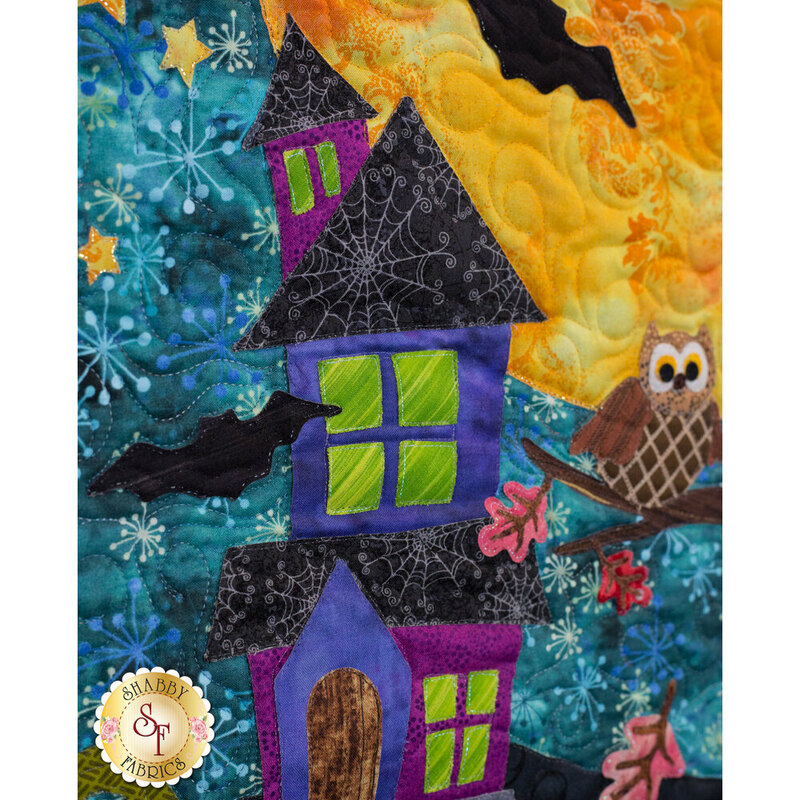 To coordinate your entire home, you can also make the Halloween Patch Pillow and Table Runner. Designed by and exclusively available at Shabby Fabrics! 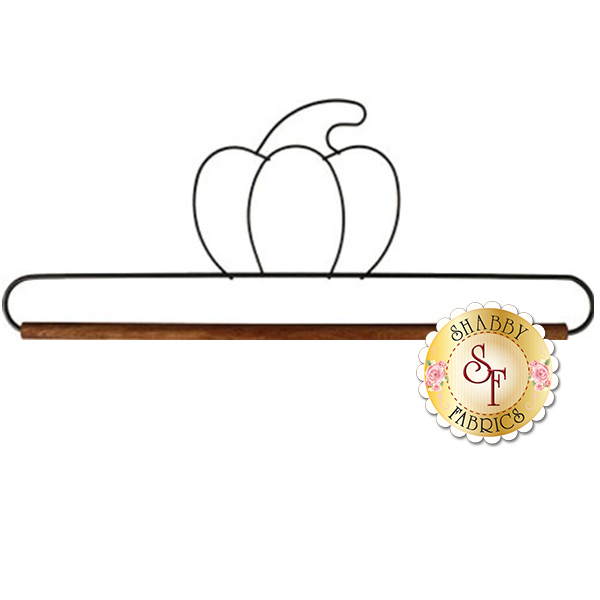 Wall Hanging measures approximately 12½" x 18½" and hangs from a darling dowel hanger (not included - available separately below). 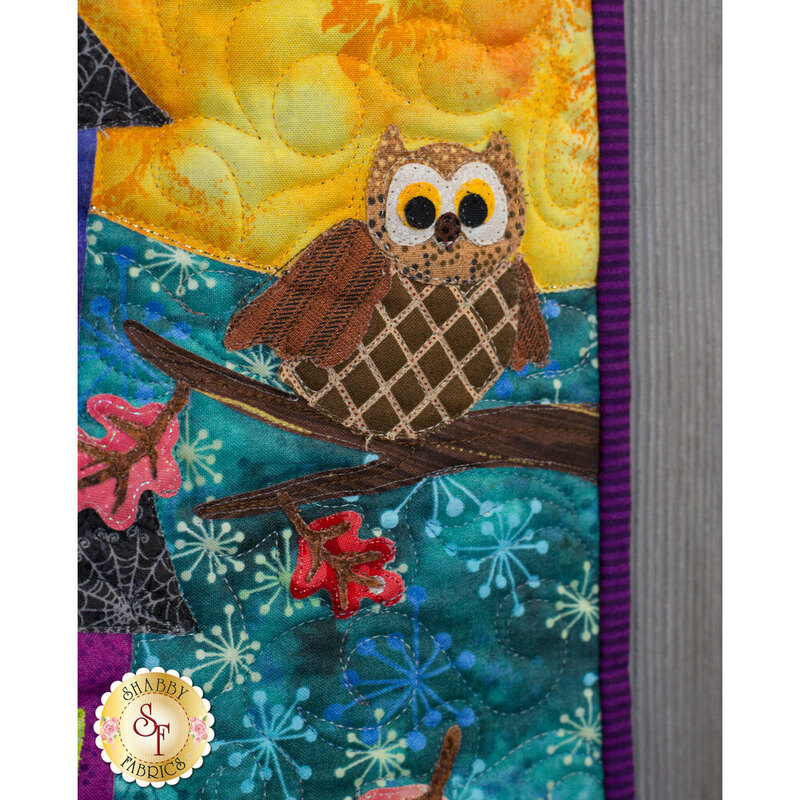 The kit will include the pattern, all top fabrics needed to complete the wall hanging, borders, binding, and BACKING! The applique pieces arrive to you pre-fused with Heat n Bond Lite and laser-cut to size making this project quick, fun and oh-so-easy! Add the special Thread Set coordinated just for the Halloween Patch Series! It includes 6 gorgeous Sulky Sliver Metallic Threads as well as The Bottom Line and Monopoly Thread combination. Not only are these threads great for these projects, they are excellent to have on hand for other projects as well. By purchasing these threads as a set, you are saving 10% OFF each spool! Follow along with Jennifer in the video below as she shows you how to make this project a breeze by using an Applique Pressing Sheet! (You can add the Pressing Sheet below).